Football fans express their passion in unusual ways. 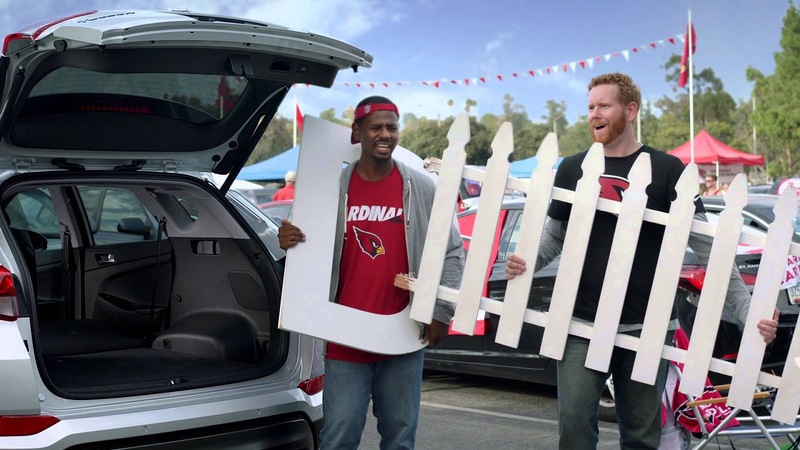 Check out what this Tucson owner and his friends do to support their team in this Innocean created commercial entitled "D-Gate"
A wife walks out into her front yard and discovers that part of her white picket fence is missing -- again. She immediately knows the culprit and gives her husband, who is a huge Arizona Cardinals fan, a call. He's standing in front of his 2016 Hyundai Tuscon when he answers the call from his wife. At first, he tries to play dumb saying "whaaat?" Then his friends, who are also decked out in Cardinals gear and wearing a large white letter "D" and holding the missing piece of fence, play dumb too. The wife knows better pushing her husband for answers. He finally breaks down and tells her he had to take it because it got them up on the jumbotron last week. His wife concedes. He just better bring the fence back. NFL fans express their love for the game in unusual ways. Because football.